The heart of our work at Oregon Humanities is connecting people across differences of belief and experience in pursuit of a more reflective, more connected, and more just Oregon. We do this in a few different ways. We share stories, on the page and online, that explore the experiences of Oregonians. We bring people together, face to face, to talk about questions that cannot be answered quickly or easily. And we work with organizations and individuals to share stories and start conversations in their own communities. In 2017, we did more of all of these things than ever before: more stories, more conversations, more trainings, and more partnerships. We feel intensely grateful and lucky to do our work with and among all of you. This work only makes sense and has meaning as part of an ecosystem. We are honored to make the contributions we can and delighted to see this ecosystem growing and getting stronger. In Oregon Humanities magazine and here at oregonhumanities.org, we publish articles, videos, photo essays, and audio recordings that explore the thoughts, perspectives, and experiences of Oregonians, especially those who have been ignored, generalized, or oppressed. In 2017, with the support of the Oregon Community Foundation, we launched This Land, an online multimedia project that collects and connects stories about land, home, belonging, and identity by Oregon’s communities of color. Artists and writers from across the state collaborated to create articles, audio pieces, and videos for This Land. In “Bitter Harvest,” writer Putsata Reang and filmmaker Ivy Lin explored the stories of Chinese laborers who helped build Oregon’s beer industry. 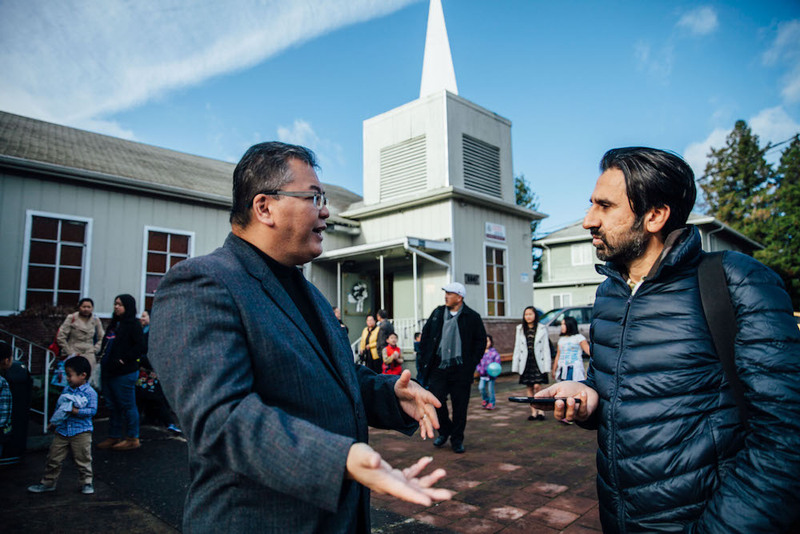 In “To Live More Free,” photographer Ezra Marcos Ayala and documentarian Luis Rodriguez interviewed people in Southern Oregon about the experience of working while undocumented. In “The Numbers,” filmmaker Sika Stanton and journalist Donovan Smith talked to young people living in East Portland about their hopes and concerns for their community. Stories from This Land have found lives beyond the website. They have been featured at public meetings and Think & Drink conversations, appeared at film festivals and at the Hollywood Theatre’s screening room at the Portland Airport, and inspired newspaper articles and radio stories. Record numbers of Oregonians came together in 2017 to talk across differences at conversations facilitated by Oregon Humanities. We trained our largest class of Conversation Project facilitators yet, who then traveled the state to lead programs on race, housing, debt, forests, fisheries, work, education, religion, democracy, and many more topics. In collaboration with local host organizations, our facilitators presented 246 events with more than five thousand participants in sixty-three communities across Oregon. 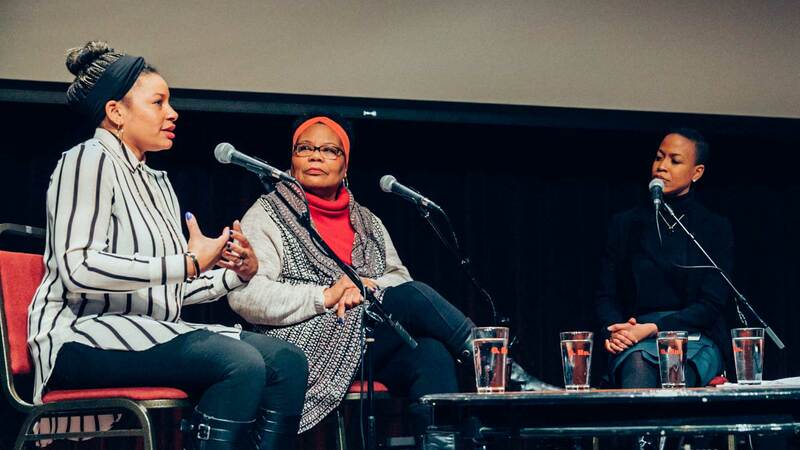 At Think & Drink, our series of onstage conversations in Portland, crowds turned out for three sold-out events on themes of race, power, and place. These live conversations, moderated by Adam Davis, invited participants to consider some of the most difficult issues facing our communities in a comfortable setting. We also sponsored Think & Drink events outside of Portland in partnership with local organizations. In Bend, Deschutes Public Library hosted a conversation on criminalization and prison reform with writer and activist Walidah Imarisha. In Tillamook, the Tillamook Pioneer Museum convened a discussion on the impact of increased tourism in the county. Our Responsive Program Grants initiative, launched in 2016, continued to grow last year. These small grants of up to $1,000 are awarded on a rolling basis to support programs that respond to timely issues or events. In 2017, these grants supported work in communities from Astoria to Ontario. Between our responsive grants and our annual Public Program Grants, we awarded a total of $69,500 to twenty-three organizations. Oregon Humanities also works to build capacity for connection in Oregon communities beyond financial support. In recent years, we’ve worked to train more facilitators to get more people talking around Oregon and beyond. 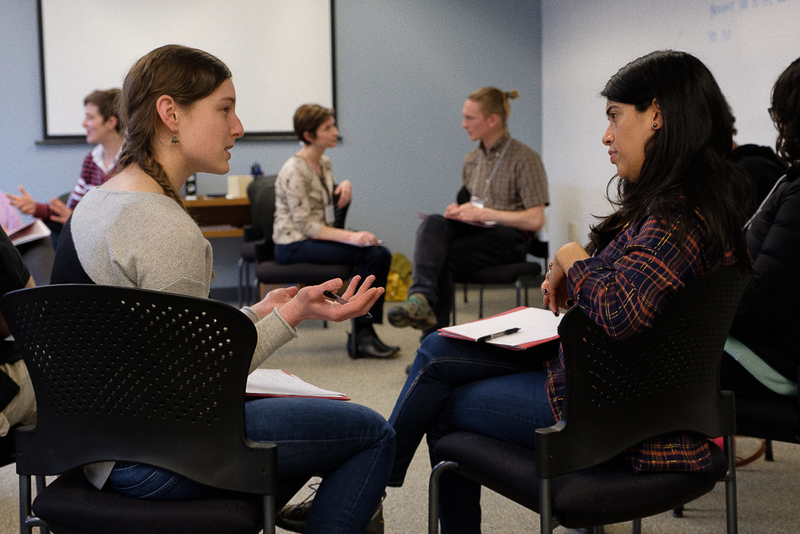 The Facilitation Training program began in 2016 as a public workshop in Portland for anyone interested in learning techniques for conversation facilitation. The program has grown rapidly since. Participants have come from as far away as Montana, Utah, and New York to join our public trainings, and Oregon Humanities staff have led private trainings with organizations in Oregon and other states. All told, through our grant programs, conversation programs, and other partnerships, Oregon Humanities worked with 184 organizations in 2017. The following supporters made gifts to Oregon Humanities between November 1, 2016 and October 31, 2017. Names listed in bold have supported Oregon Humanities for five consecutive years or more.